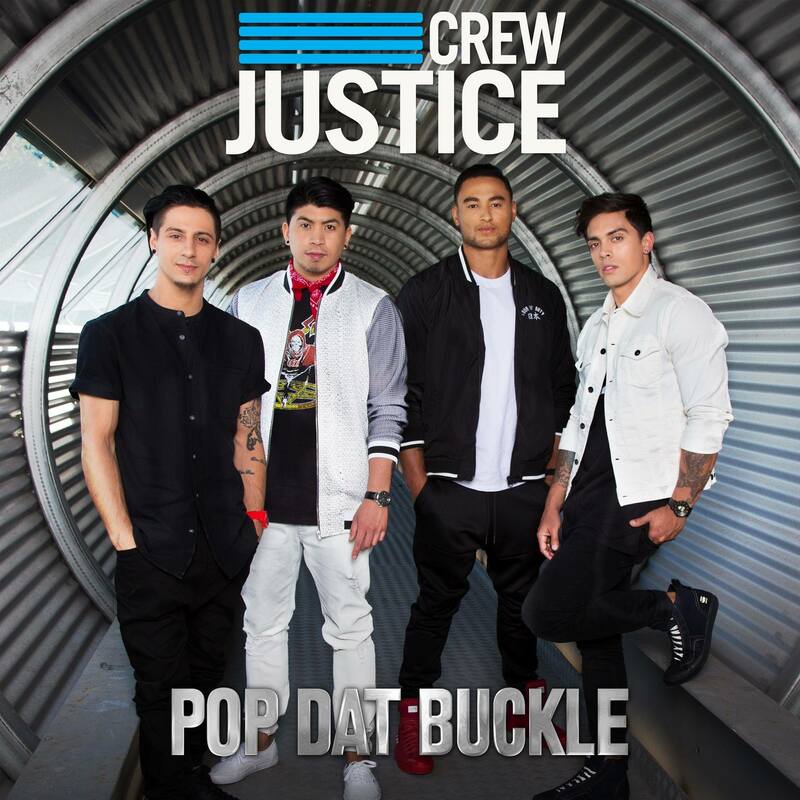 The Justice Crew boys are back on our pop radars today with new single ‘Pop Dat Buckle’, buy seemingly with just four members left. The new track (listen below) dropped to Aussie music retail today (presumably we’ll be seeing it at media next week), marking their first release since ‘Good Time’ landed with us in November last year. Justice Crew rose to fame as a seven piece dance troupe as part of the 2010 edition of ‘Australia’s Got Talent’, subsequently signing a record deal with Sony Music. They were down to just six members as of their last release. But now, it would appear, they’ve trimmed down to four, with both Lenny and Solo missing from the newly slimline line-up featured of the cover of ‘Pop Dat Buckle’ above.